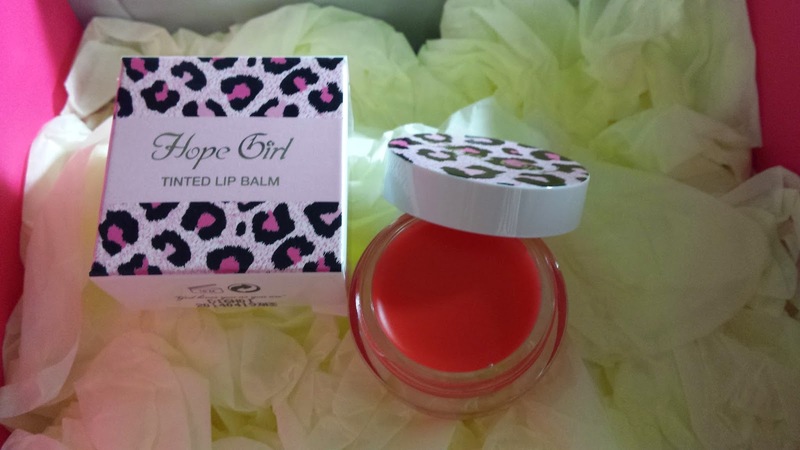 Really great smelling lip balm...this is uber cute with a very pigmented tint! Great for your bag and for pretty much anywhere! This cost US $12. This sun cream is actually in the jar below the girl...i find the packaging extremely big and unuseful when the jar of the sun cream is so small! It's nice to have on your desk, but just not small and convenient enough. Found the packaging very redundant. I actually bought this to put on my work desk and that way have sun cream on days i want to go outside for a walk but don't have any. Otherwise, i found this product pretty meh =\ This sells for US $21. 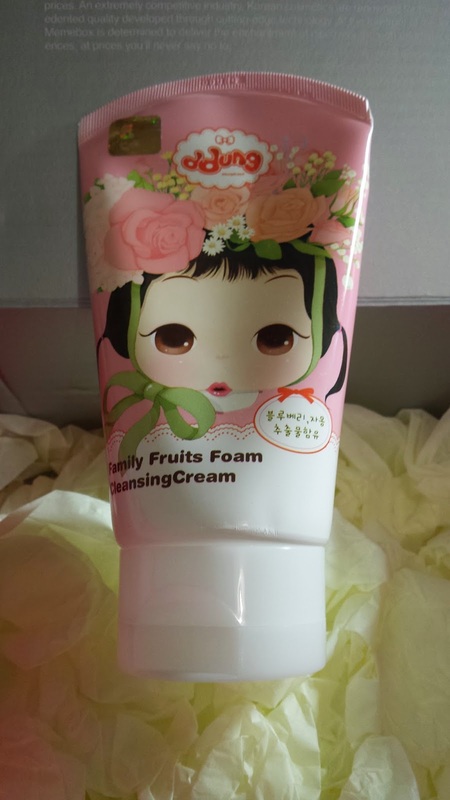 This cute cleansing cream is made from fruits extract and smells wonderful! 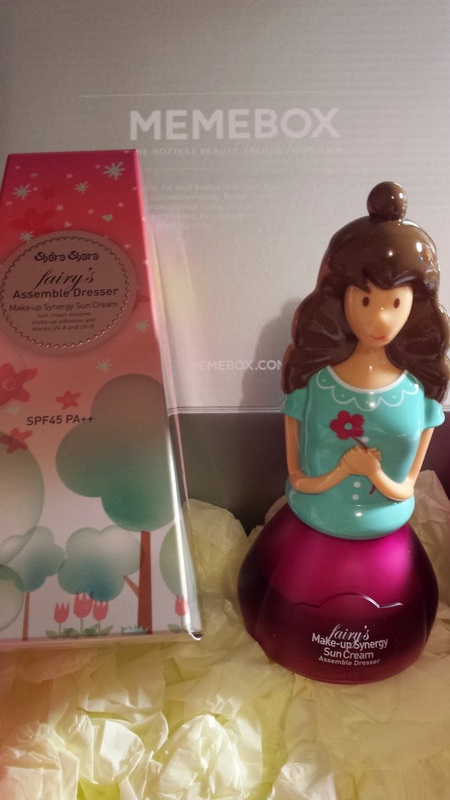 A product that i want to raise my two thumbs for! Cute packaging and great product :) This costs US $12. 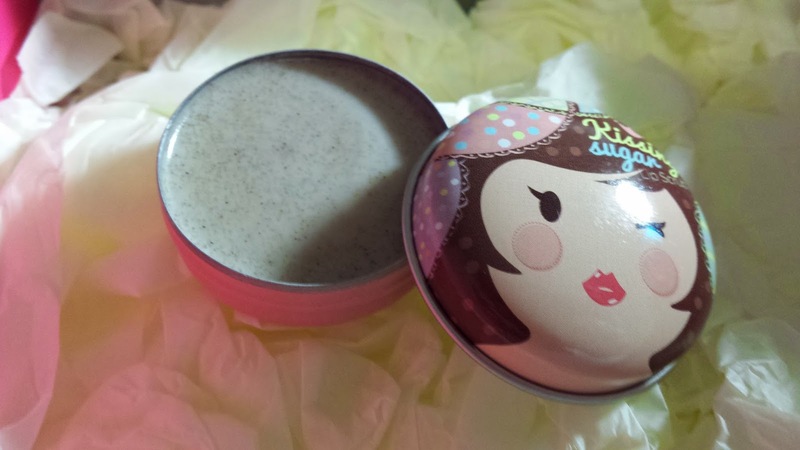 This tin is super cute and inside you find lip scrub! This scrub is made of grains of sugar and walnut - smells great and is healthy for your lips. This costs US $7. LOL This is in the old Korean style packaging! 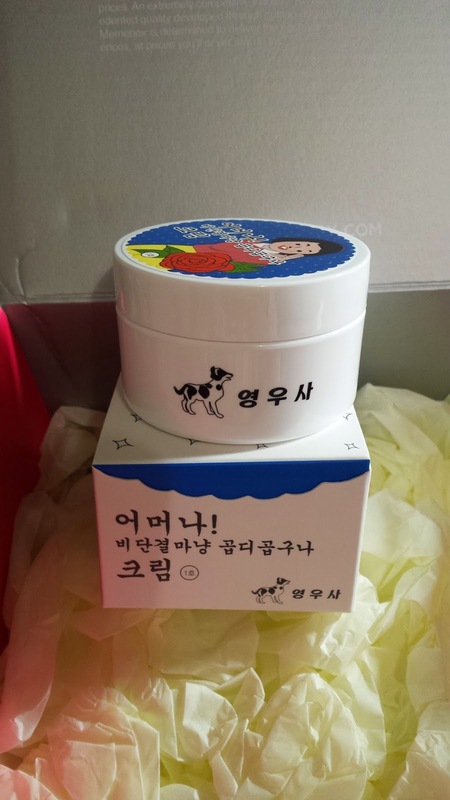 Even the font and the lady on the packaging has got that "old" korean style! Makes it hilariousss...this is simply just soft cream for your face and your skin. This sells for US $47...which is quite impressive. 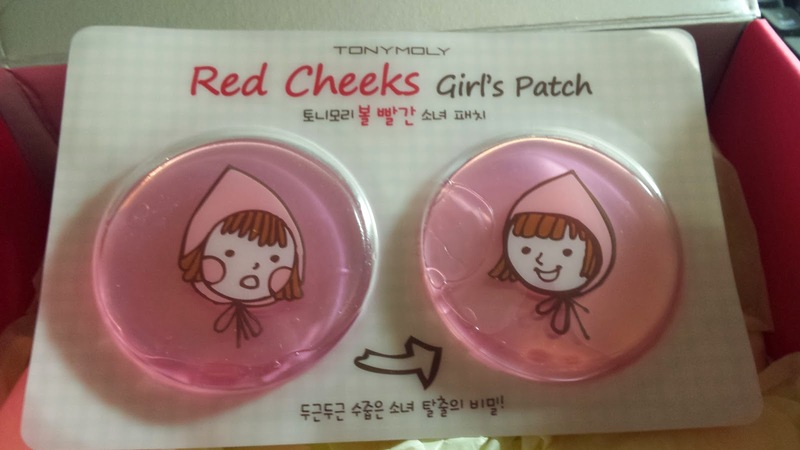 These are cute patches for your cheeks that are designed to moisture and relieve your skin. 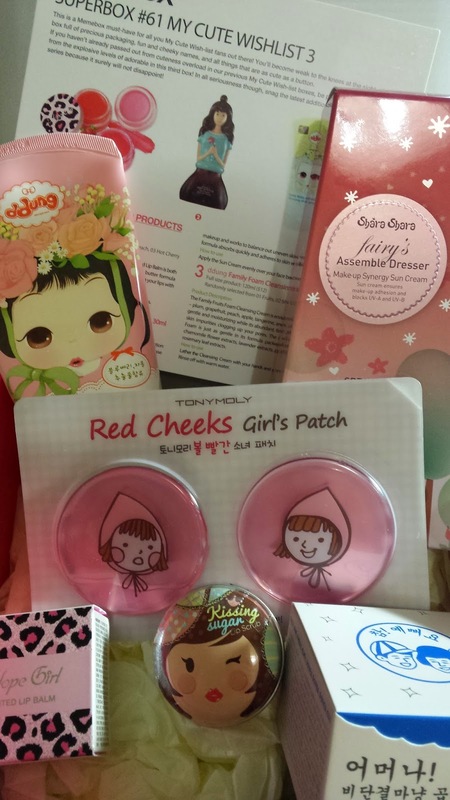 One on either cheeks, this is uber cute on your cheeks! This costs US $2.